Got a Mess? Call ARS! Ask the Expert. . . What are some things I should know about Living Expenses or ALE after a Disaster? Part 2- Homeowners Insurance Policy: Living Expenses aka Additional Living Expenses or ALE. 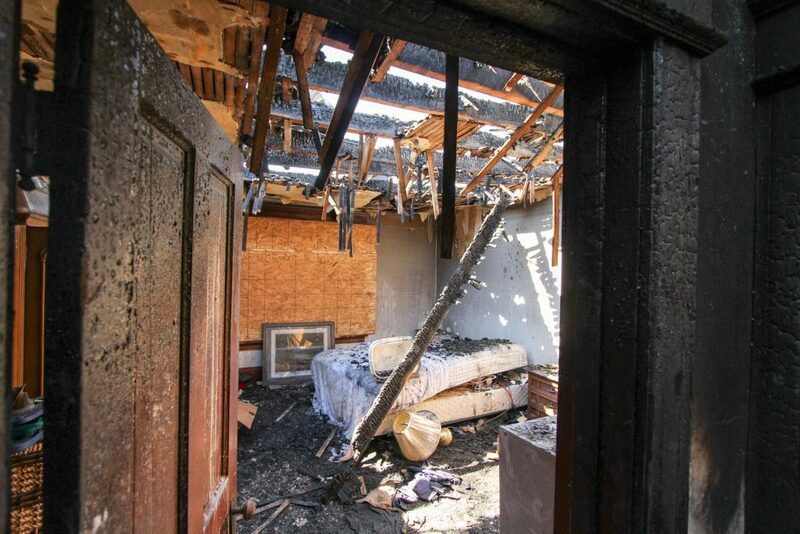 If your bedroom looks like this after a Fire, there’s a good chance you will need to talk to your insurance adjuster about ALE. Have you ever thought were your family would stay if your home was no longer livable? After a Fire or large flood in your home, chances are you might not be able to stay there while the damage is being cleaned up. If you don’t have family nearby, where will you stay? What will you eat? How do you pay for a place to live and food when you just bought groceries that are now unusable and have to continue paying your mortgage? Standard Homeowners insurance provides coverage for Additional Living Expenses or ALE. Those expenses can include hotel stays, rent, meals, and storage fees. However, most insurance companies do not provide this coverage if your home is flooded. Flood insurance policies through the National Flood Insurance Program also don’t pay out ALE. Check with your agent if you are able to add ALE to your homeowner’s policy in the event of a flood. FEMA can help with displaced homeowners, but as with anything government, don’t rely on it. Most insurance companies cap living expenses to 20% of the dwelling coverage. Insurance companies can also set a time limit on how long you can receive ALE—some it is 12 months, which seems adequate, but when cleaning out, gutting, and rebuilding a home, it can sometimes go longer. Make sure when you choose a Restoration Contractor, you give them a deadline so you are not paying out of pocket to live out of your home. Don’t overlook your extra expenses. Eating out when you have no kitchen, pet boarding, or laundry are expenses you can deduct from your ALE. You can also look into extra mileage if you are having to drive further to work or school. You can also request reimbursement for any additional storage fees if you have items your Restoration Contractor is not storing for you. Keep all of your receipts. Insurance companies will not pay out your ALE if they have no proof of the expenditures. Remember this is additional coverage. It will not pay for your mortgage payment or utilities at your house. When choosing a housing option, get something comparable to what you lived in. Keep in mind, hotels get old really fast when you have to live there compared to when you are on vacation. A family of four may be comfortable in a 4000 square-foot home will probably struggle to stay in a 1500 square-foot apartment for any extended period of time. Pick a reasonable location where your family can be happy for an extended period of time. Pick a Restoration team that oversees the job from start to finish. ARS Cleanup is a Complete Restoration company that can help you remediate and restore your home after a disaster in a timely manner! ARS Cleanup also works directly with your insurance company to help get you the most bang for your insurance buck.